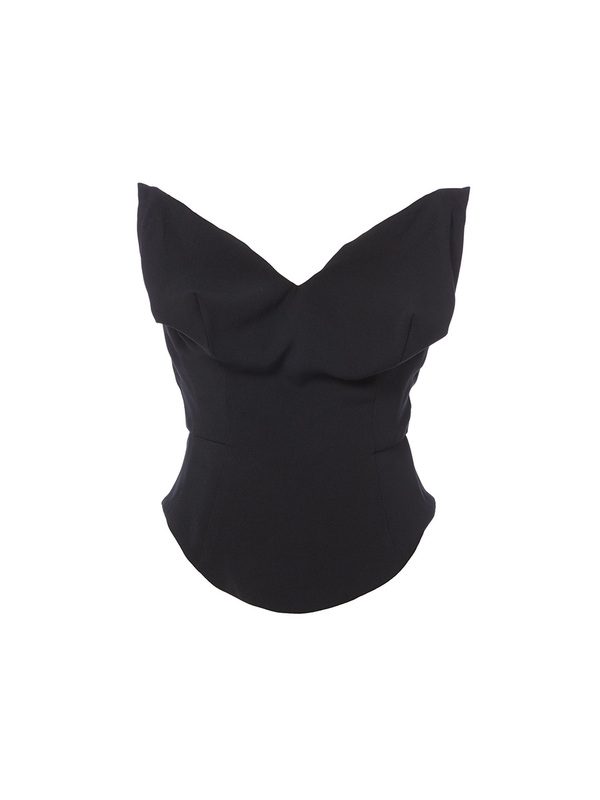 Vivienne Westwood Corset Top Black S26NT0026. Developed by Vivienne to create an ultra-feminine silhouette like the character “Wilma Flinstone”. The ultra-feminine Corset Top in black features bust and waist darts to accentuate the female form.